Toast is homemade organic sourdough made with Spelt and organic winter wheat. 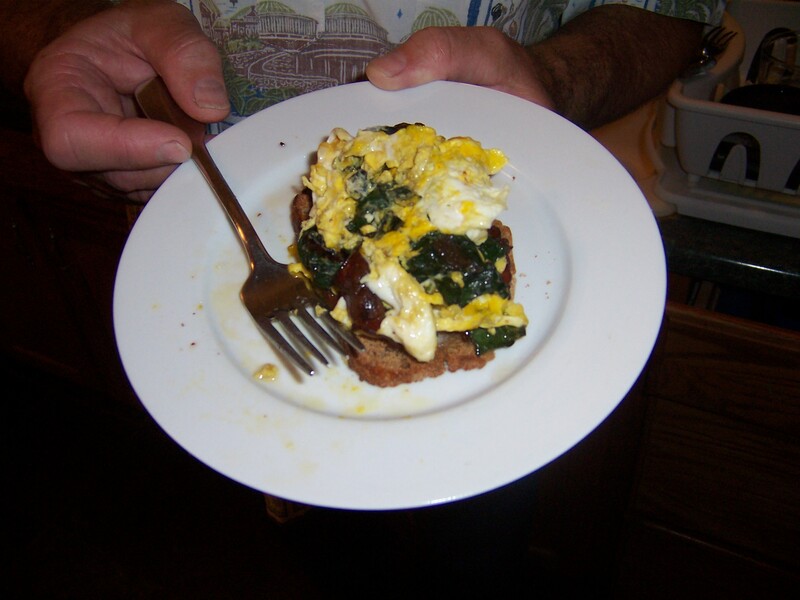 The egg is from our sweet Buff Orpington, the Swiss Chard is freshly harvested from our garden, the bacon is from a happy pig farm, and the butter is raw and from a grass-fed cow. Delicious!